Tonight, Tuesday 29 April saw the launch of the 2008 Dublin Writers Festival in Dublin's Merrion Hotel. Having been invited by the lovely Léan Ní Chléirigh who is recruiting volunteers for the festival, I popped along to have a look. Officially launched by Festival Director Jack Gilligan, the festival - running from June 11 to 15 2008 - promises to be an absolute feast for literary fans. 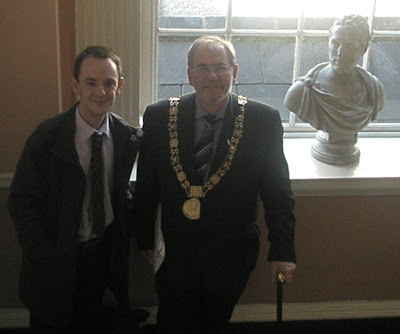 Cllr Paddy Bourke, Lord Mayor of Dublin, gave a great speech outlining the importance of the festival to the city. "Over recent years Dublin has become a vibrant city in terms of the arts. 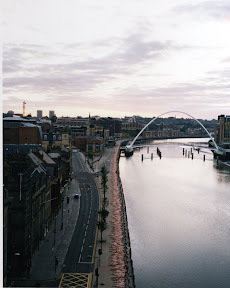 Our many festivals, events, theatre, music performances and exhibitions have all played their part in firmly placing us among Europe's top cultural cities. With our rich literary tradition it is no wonder that writers and writing are very much at the core of this cultural awakening. I am delighted to say that the great literary tradition is still carried on, with distinction, by our contemporary poets, novelists and playwrights. They continue to win international acclaim and to reinforce Dublin's reputation as a literary city." "Dublin's Writers Festival celebrates contemporary writers from around the world, providing opportunities for interaction with their Irish counterparts and offering a fascinating range of literary experiences for audiences. A very welcome addition to recent programmes has been the series of topical debates reflecting local and global concerns. This year's impressive programme has readings and discussions which will, I am sure, be the subject of lively exchange." The team behind the festival, including the afore mentioned Jack Gilligan and Programme Director Liam Browne have done an impressive job at gathering together writers for what looks like an eclectic mix of events and talks. "When I'm dead, I hope it may be said: his sins were scarlet, but his books were read"
Multi-million selling author. Famed recluse. Contemporary cohort of Johnny Depp. Author, playwright, artist, farmer and all-round Irish icon, J.P. Donleavy is a one-man literary cult surrounded by a tantalising mythology. This special retrospective looks back on a remarkable career from Dublin's post-war creative Bohemia to fevered speculation of an imminent Ginger Man screen adaptation care of Johnny Depp and Laurence Dunmore. Tickets are €10.00 and €8.00 and available at +353 (0)1 881 9613. Thursday 12 June - 8pm - Project Arts Theatre - Irish Values Debate. Now this promises to be something interesting. Economist David McWilliams, Senator Ivana Bacik, historian Roy Foster and documentary maker Alan Gilsenan take on the topic of post Celtic Tiger Ireland. "Since the Celtic Tiger first roared back in the early 1990s, Ireland's economic upturn has transformed the lives of many. But has this new found prosperity also changed our core values? And if so, what does this say about us as a society? 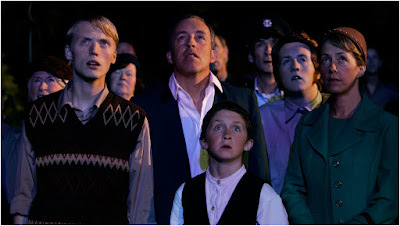 Was the Ireland of old a purer, simpler and therefore kinder society, or is this simply the worst kind of nostalgia?" Given that Tom Stoppard wrote Shakespeare in Love is almost enough for me. Almost. Add to the fact then that he's responsible for Spielberg's Empire of the Sun, Gilliam's Brazil and Broadway's Rosencrantz and Guildernstern are Dead and I'm there. 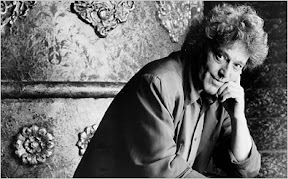 "Sir Tom Stoppard is one of the world's most celebrated and influential playwrights, his distinctive oeuvre characterised by big ideas, coruscating word play and passionate humanism. Describing himself as a timid libertarian, Stoppard is in fact a tireless campaigner for civil liberties and human rights. He is an ardent champion of freedom of expression." It's likely to be one of THE events of the festival. Tickets are €10/€8 and available at +353 (0)1 881 9613. Image by Ben Lister taken from here. 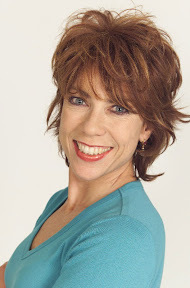 "Join Kathy for coffee, croissants and a side order of breezy Aussie charm as the best selling author and playwright invites you to this year's high fibre, calorie controlled (yeah right!) festival Brunch. For the latest slice of fast-talking, pun-laden modern angst from the queen of zeitgest comedy, please tuck in!" This will be another festival first and I believe the first time these two famous writers (and daughters of famous people) have met. Esther Freud, daughter of painter Lucian and great-granddaughter of Sigmund Freud and Linn Ullman, daughter of Ingmar Bergmann and Liv Ullmann. Given the pedigree it's hardly surprising that family dynamics tend to be rarely far from the surface of their latest novels, Freud's Love Falls and Ullman's A Blessed Child. "Two consummate chroniclers of the human condition. One very special encounter." I read Death as a Way of Life a while ago and it's an enthralling read. 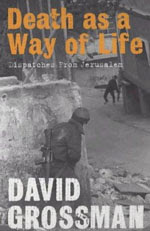 Now the author, Israeli novelist, essayist and political commentator David Grossman is coming to Ireland to talk about the continuing saga and conflict between the Israelis and Palestinians. "This exclusive Dublin visit is a rare opportunity to explore the work of a major contemporary voice on the global literary scene." 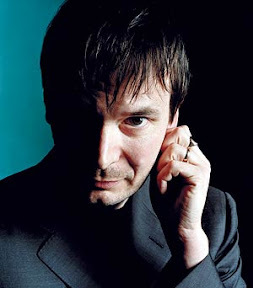 Apparently Ian Rankin requested this conversation with Colin Bateman for the festival. Rankin, best selling crime writer and creator of one of my favourite characters John Rebus is in conversation with the author of Divorcing Jack, Belfast Confidential and BBC1 series Murphy's Law. This promises to be interesting. Very, very interesting. Other events and names worth looking at include Marian Keyes, John Boyne (Boy in the Striped Pyjamas) in conversation with Lloyd Jones about their new books, a wonderful poetry talk with Eiléan Ní Chuilleanáin and Harry Clifton, Sebastian Barry, Jonathan Coe, Anne Enright, Frank McGuinness... phew, what a list! What's always great about these festivals for me is the effort and enthusiasm that goes into them from the organisers, the volunteers and the participants. It's something Dublin should be proud of. Max Crisfield (whose words I stole for this post) and Wesley Doherty, a student with Ballyfermot College of Higher Education have done a great job with the programme in conjunction with the Black Mountain Design Company. Update: The Dublin Writers Festival website has a report on last night as well with more about the launch. Check it out! The Administration office can be contacted on +353 (0)1 222 7850 and box office for the Project Arts Theatre, MacNeill Theatre, Morrison Hotel, FilmBase, Peacock Theatre and Irish Writers' Centre is at +353 (0)1 881 9613. The Gate Theatre is at +353 (0)1 874 4045. Finally, if you'd like to get involved by volunteering, please contact the lovely Léan at nichlels@tcd.ie. She's very nice altogether. Ever since I saw this mentioned yesterday by Jazzbiscuit, by Le Craic, by Rick and Pat Phelan I've been thinking about whether to do it or not. Do I really want to get naked for "art" with other people? I mean is this type of thing really art? This morning I asked the members on the Faux Sty to vote. I said that if I got over 10 votes, I'd do it. As of now, there's 11. Also to the lovely Rosie and JB for saying I should do it. And I think Mr O Shea may be serious about doing it as well! Agreeing with Twenty Major on Ireland in the old days. Rereading Mulley's Community Manager post and the comments. Updating my Remember the Milk tasks. Speaking of Forums, K8 the Gr8 points to this one. I reckon Twitter is a forum to be honest. Thinking of buying one of Lette's Peig t-shirts. Ever so proud to be on the front page of makingbabies.ie :) Thanks Fiona! Still thinking about Rosie's Waking Talking Statue nickname. I also loved her post on the statue in Earlsfort Terrace. Update: Had just finished adding a comment about it and then found this video on Rick O' Shea's blog. Says a lot! Actually considering doing this. Kinda. Jazz Biscuit has more on it. Being reminded to get back to Blacknight about hosting following Grandad's hosting advice. Wishing I was in San Francisco so I could go to this. The necessary $200 - $25,000 is secondary. Reading @conoro's review of the Nokia N95 8Gb. I have one. I never knew it could do so much. Discovering a new blog called TheAngryHedgehog. And loads of other stuff. I have to do some work sometime you know! Now, what YouTube video was I looking at? I love postcards. I pick up a lot of the free ones in town (and I'm delighted to see that the people behind a lot of them, The Picture Works, have a blog - go visit) and I share them, I send them or just store them. The ones from "new" places go on the fridge. Guess which ones won't be going on the fridge? Yes it's true. Iron Man is fluffy. (Thank you Damien!) And yes you can have tickets for free, gratis and for nothing. Well, almost. You have to read the below first. It's on from April 23 to May 1 in various venues around Dublin and the festival programme promises a vast array of films, masterclasses with film and television professionals, workshops for schools, Q&A's and more, all of which aim to entertain, motivate and create opportunities for young people aged from 4 to 25. We put some of the competitions live on the Vodafone Live! portal earlier today (that's the interweb on your mobile, like), including family tickets to see new Irish film 'Summer of the Flying Saucer' directed by acclaimed Irish filmmaker Martin Duffy. X Factor host Dermot O' Leary will officially open the festival which starts at Movies@Dundrum, Dundrum Town Centre, Dublin on Wednesday 23 at 1830 with the premiere. The young cast and crew from the film including Robbie Sheehan, Dan Colley and Joanne Kiernan will also be in attendance and will answer questions from the audience after the screening. You can download the full festival programme here. Vexille - a Japanese CGI anime film witten, directed and edited by Fumihiko Sori. That's on Monday 28 at 7.00pm in Cineworld. Pan's Labyrinth - the Guillermo del Toro film returns to the big sceen. That's on Friday 25 at 7.00pm at Movies@Dundrum. Amélie is on Sunday 27 April at 7pm in Movies@Dundrum. 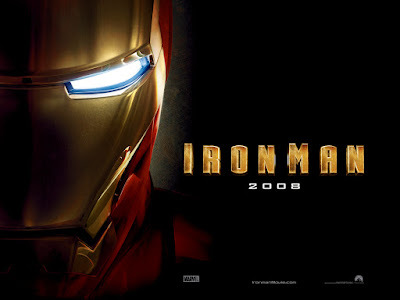 I think this was the first film I went to the cinema alone a few times to see. Other films being shown include Artic Tale, Donnie Darko (Tues 29, 6.30pm, Cineworld), Toy Story, The Last King of Scotland, Jaws, The Kite Runner and Harry Potter and the Philosopher's Stone. One of the cool things I think (and I wish I could go!) are the Masterclasses on from April 23 to May 1. A must for young people (aged 13- 25) wishing to follow a career in the media industry are the insightful Cinemagic masterclasses taking place in Spencer Dock, The Mill Theatre and Filmbase. They include Television Presenting with Laura Woods and Dermot O’ Leary, Acting with Rachel Kavanagh, Matt Littler, Darren Jeffries and Chris Rankin, Directing with Dave Caffrey, Television & Music Production with Ned O’ Hanlon, and a class with the Casting Director Ros Hubbard. So it all looks really good, eh? Really great to see events like this in Dublin (and Ireland) bringing film to younger audiences. Check out their website. Please note that it is WAS first come, first served. What do you mean, what's my job? Oh, right. Well, that's fair, I spose! I'm currently with Vodafone Ireland working on their mobile portal. You know. The interweb on your phone. When you click the little red button on your Vodafone phone, like. Well I help do that. Anyways, one of the great things about it is that I get to work on doing interesting things in a new way - bringing things to people's attention that they may not otherwise have known about. The whole mobile web (thanks in part to people like Pat Phelan) is certainly an interesting area to be working in. It's bringing information to people in a way they've never had it before. Like the current Platelet donation campaign taking place for the Irish Blood Transfusion Board and the Irish Cancer Society. Jazzbiscuit has also highlighted it. Can you help with a platelet donation? Platelets are small blood cells present in the blood of all healthy people. They are essential to enable blood to clot properly. Platelets are needed every day in hospitals around Ireland. They are an essential part of treatment for many patients suffering from leukemia or cancer, patients who need bone marrow transplants and sometimes new born babies. The Irish Blood Transfusion Service and Irish Cancer Society are asking you to help with platelet donations for sick patients. They also invite you to help them pass on information about platelets to people who may be able to donate. Donation is simple, taking on average 45-70 minutes. In this short time a donor can help save up to three lives. How do they collect platelets for transfusion? In a process called apheresis, the donor's blood is passed through a special cell separator machine which extracts the platelets from the blood. The red cells and the plasma go straight back to the donor. The whole process takes apparently between 45 and 70 minutes. The process uses the most modern technology to meet the growing need for platelet transfusions. I've taken some of this text from the campaign running on Vodafone Live! All the FAQs are here. Is this a safe procedure for the donor? Yes, it is very safe. We ensure that donors have plenty of platelets to spare before the donation begins. Your body replaces all the platelets that you've given within a few days. It is impossible to catch any viral infection by donating platelets or blood. We use a new sterile set (needle and tubing) for each donor. Sets are never re-used. What is involved in platelet donation? Donations take place at the National Blood Centre, James Street, Dublin 8 and at the Munster Regional Transfusion Centre, St. Finbarr's Hospital Cork. Normally we ask that you donate every month. During the donation process you can watch television, read, or just relax. Once the donation process is complete you will be fit to resume your normal activities. Who can become a platelet donor? you may be eligible to become a platelet donor. We all know someone affected with cancer. My dad is not long after his latest stay in St Luke's Hospital. Barretstown is gearing itself up for its summer of helping children with cancer and serious blood illnesses. Laura blogs about living with leukaemia at Distant Rambler. This can make a difference. Text platelet to 53377 for more information. Check the IBTS website on http://www.ibts.ie. 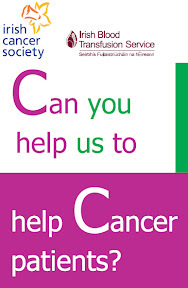 If you live in Cork and are interested in finding out more please contact Rachel on 021 480 7430. Following a tweet on Twitter by the lovely Laura (@Czajkowski) I checked out the Viking Event at the National Museum at Collins Barracks recently. I didn't know what to expect at all, but it was all rather wonderful! That big boat in the background is the Sea Stallion. There'll be talks on it soon. It was a pity I didn't go in earlier or on the Sunday like Laura because there was a lot more to see. Will tells me it's the guys and gals from livinghistory.ie that put this on - all very knowledgeable, personable and friendly. Really made the day worth it. On April 26 in the National Museum at Kildare Street there's another Viking exhibition. Would highly recommend it.